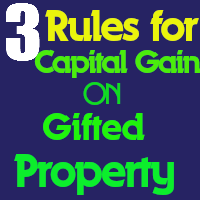 Gift & Capital Gains- 3 Important Tax Savings Provisions One Must Know ! Gift of assets to various persons -relative and non relatives involves different issues under Income tax Act which has many provisions to deal with gift of assets .When a person receives any capital asset as gift and later sells it, the question of capital gains arises. However, this posting will try to dwell on three important provisions related to application of capital gains provisions on sale of capital assets received as gift. Each provision is applicable specific to the facts and circumstances involved. Previous articleCharitable Trust :Filing Audit Report is Mandatory ! Period of Holding : How to Compute in 11 Situations Like Gift , Inheritance etc?